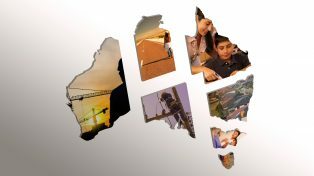 Is the great Australian dream becoming a fantasy? Public anxiety about housing affordability is on the rise. Home ownership rates are on the decline, especially among the young. Australian house prices have more than doubled since the mid-1990s, outstripping incomes. Without change, a generation of Australians risks being locked out of the housing market. Australian governments are responding. Federal Treasurer Scott Morrison’s May budget contained a “comprehensive” housing affordability package. The Victorian and NSW State Governments have both announced packages to help first homer buyers. But are these any different from a string of policy changes over the last few decades that were supposed to fix the problems with housing affordability? Why have house prices have continued to rise? And how do we work out what would really make a difference to housing affordability? Sally Capp is the Victorian Executive Director of the Property Council of Australia. Sally has extensive experience in CEO and executive leadership roles in the government and private sectors, including the Victorian Chamber of Commerce and Industry, KPMG, the Committee for Melbourne and the ANZ. She was the first woman to hold the post of the Victorian Government’s Agent General in London, where she represented the interests of the state in Europe and Israel from 2009 to 2012. Sally was the first female director of the Collingwood Football Club and has served on the boards of numerous private and public companies and not-for-profits organisations. Currently, Sally is on the boards of: Rowing Australia, the Faculty of Business and Economics at the University of Melbourne, the Olivia Newton-John Cancer Wellness and Research Centre and the Sport Australia Hall of Fame. Nicki Hutley is a highly experienced economist, with financial market and public policy experience. She is a Director and Chief Economist with Urbis. Prior to joining Urbis in 2013, Nicki held senior positions with Access Economics and then KPMG. She has also worked extensively in financial markets, including for Rothschilds, Deutschebank and Lloyds Bank. Throughout her consulting career, Nicki has led large and complex economic projects and policy reviews across a wide range of issues, working for all levels of government across Australia and New Zealand, as well as for private and third sector clients. 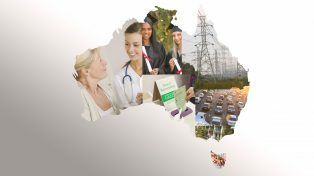 In 2016, she was appointed as an expert adviser to the NSW Department of Industry on Economic Development issues. Brendan Coates is a fellow at Grattan Institute. Brendan’s research focuses on tax reform, economic and budget policy, retirement incomes and superannuation, transport infrastructure, cities and housing. Before Grattan, Brendan worked with the World Bank in Indonesia, and prior to that, he undertook a number of roles with the Australian Treasury, including as part of the Treasury’s China Policy Unit.